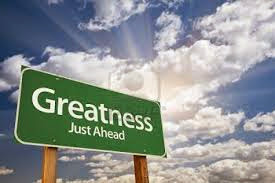 Greatness is defined as "the quality of being great, distinguished, or eminent." What's the point of this Meik? I went to an event tonight where Common (YESSS That COMMON--rapper, actor..everythaaaang) was the guest speaker and his lecture was about greatness. Anyhoo..I thought what can Common tell us about greatness? I always try to keep an open mind and this time I'm glad that I did. I'm not going to go into everything Common said, but I will sum it up for you.. he said you have to FIND your path, BELIEVE in your path, and LIVE your path and that will put you the road to GREATNESS. He also said in order to be great at something you have to practice and train to be the best that you can be at your path. As I sat there listening to him and his examples, I realized something. I am not doing all three of those things in my professional or personal life and maybe that is why things seem to be stuck in quick sand. Let me explain. My path-- As a writer.. I love to write. I went on a job interview not too long ago and the person interviewing me told me that I'd have to give up my freelance writing and my blog. At that moment I felt like I couldn't breathe. I couldn't wrap my brain around not being able to do what I love. 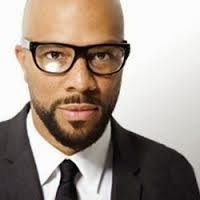 So, bear with me here, fast forward to this symposium with Common speaking on greatness, it got me to thinking. I have found my path--Writing... telling people's stories as well as my own. I love the thrill of landing an interview that I have been trying to get, and the excitement that follows as I wait on pins and needles to see what the readers responses will be, will they like it? Did I tell the story well enough to make you want to know more about the subject etc... ? I can get lost for hours in writing, because it doesn't seem like a job..it's my passion. Live your path. To the outside world it may appear that I am living my path. I guess in a sense, I am, but part time. I need and CRAVE it to be a full fledged life on the yellow brick road type of path. However, God may still have me in "practice" mode and I'm just continuing to build my portfolio and getting better at writing and interviewing and learning how to deal with certain situations in the industry. While this could have had me down and depressed, it actually didn't it gave me hope that maybe just maybe things will start to unfold and my professional life will flourish once I start believing in myself. Now, I mentioned the personal life well.. let's just say I have none of the above. Maybe once I find my path in that area and believe in myself (have more confidence and stop worrying that I'm not this or that and can get over the fact that I may never wear heels again in this lifetime), I can finally live on the path that I'm destined to be on and who knows I might bump into Mr. Right on the way. Common also talked about dimming your light for someone else, I realized I do that ish.. I dim my bright arse light of a personality sometimes well..because I want folks to like me I guess.. *shrugs* lemme put these bright arse bulbs in my lampshade so my light is NEVAAHHHHHH dim for anyone! Needless to say my pissy mood vanished, and a fire was lit inside me, one that had dimmed out long ago. I thought back to a time when I wanted something so bad, that I practiced and practiced until I became great at it. Quick story.. 6th grade, I tried our for cheerleading at our middle school..which means I would have cheered on the middle school team during my 7th grade year. I had all the dayum confidence in the world, I had been cheering since I was 6, I got this right? I didn't make it. My jumps weren't good enough, high enough, and my motions weren't tight enough, and as shy as I was, I probably wasn't loud enough. All that could rip a poor girl's heart out, especially after your youth league teammates all make it onto the squad. I could have quit.. but instead, my parents told me you can still cheer, it will just be on youth league for one more year. For the next year, every single day, I could be found outside in the yard jumping, practicing, determined to be great. I would jump literally all the time hoping to make my jumps higher and higher. Tryout season rolled around, guess who made the team. Guess who had the best jumps for the rest of my cheer career (I cheered for many yearrrrrs after and semi-pro)? Those jumps led me to become an All Star Cheerleader. So I KNOWWWWWWWW there is a path to greatness.. you just have to PUSH yourself to get there. Thank you Common for the reminder! Have you guys found your path? Are you believing in it? Are you living it? If you haven't found it yet, don't worry.. God has planted a seed deep down inside, you just have to figure out what it is..and then get to working on being great! This is such a powerful entry!!! Thank you for sharing.. WOW!!! I really enjoyed reading this and may I say you've got a great style of writing. You reminded me of staying focused and not being side tracked with doubt. Thank you! Wow, I do love writing, but I think my path might be music. Now I'm thinking about the fact that I need to practice better and longer. I'm on my way to do that now. This is a great post. I wish I could have heard Common Speak it sounds very inspiring. I just wrote a post about asking, believing, and receiving what you want from life. So many of us get stuck at the believing stage. Also so many of us seemed to have what it would take when we were kids (like your drive in 6th grade) but lost it somewhere on the road to adult hood. Oh, and thanks for linking up for #FlashbackFriday. I have pinned your pos to the #FlashbackFriday Pinterest board. What a dynamic and prophetic post! Yes, I found it! I found my path once I removed myself from the path others tried to place me on. I learned that being good at a task does not necessarily mean it is your purpose. Sometimes auxiliary gifts help us prepare for the main gift, the purpose in which we were created. Happy to say I stepped down on a few things so I can step up in the right thing.